Exclusive! Join us on Tuesday March 14th at 6.30pm CST with our guest Michal Bar, Microsoft Access Program Manager at Microsoft! Learn about the future of Access, see demos on new features the Access team has worked on and get answers to the pressing questions of our beloved Access program. Is Access going away? Is VBA going away? What computer language is Access built on? What new features has the Access team working on? How can users provide feedback? These and many more questions will be answered during this historic event for AccessUserGroups.org, don’t miss it! 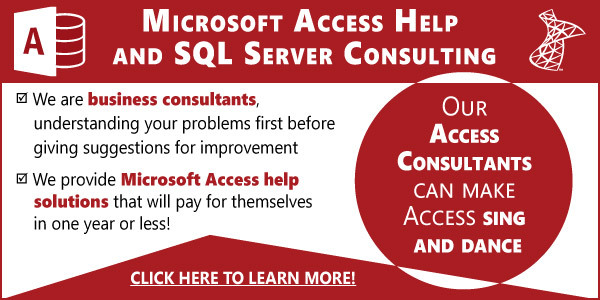 Sign up today to get on our Access with SQL Server user group!